Kylie Jenner continues to take Instagram by Storm(i). While Jenner may already rule Instagram with a cool 103 million followers, her latest post about her newborn baby girl, Stormi Webster, just put her at the very top with the most-liked photo on Instagram ever. What’s even more impressive is the announcement was posted less than 24 hours ago. The previous No. 1 IG post? Cristiano Ronaldo’s post about the birth of his fourth child, which currently has 11.3 million likes. Falling to No. 3 (but was Instagram’s most-liked post in 2017) is Beyoncé’s now-iconic twin pregnancy announcement. On Super Bowl Sunday, Jenner posted her pregnancy and birth teaser announcement on Instagram, garnering a whopping 61.9 million views and 7.6 million likes so far. The full video, titled “To Our Daughter,” gave us all a very personal (and emotional!) glance into her pregnancy journey and now has nearly 42 million views on YouTube. If you haven’t watched this yet, please do yourself a favor and click play. All 12 minutes are absolutely worth it. Following the post about Stormi, proud grandma Kris Jenner posted to Instagram, reacting to the record-breaking news according to Harper’s Bazaar. However, she promptly deleted the post captioned, “Wow Kylie!! How incredible, this is the most-liked picture in the history of Instagram!! Thank you everyone for the outpouring of love for our precious Stormi!” Why she removed it, we’ll never know. 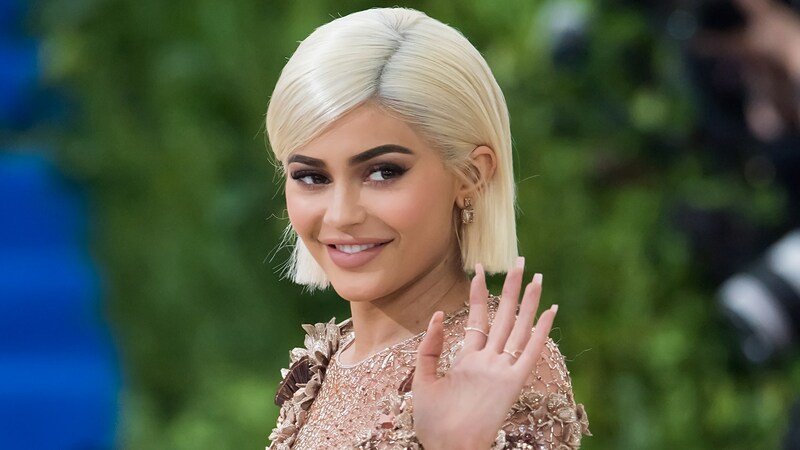 Now that Kylie Jenner has dominated both the cosmetics industry and Instagram, what’s next for the new mom? We might just see her rocking her own maternity line. It was reported in September last year that Kylie and Kris Jenner are working on a maternity line geared toward younger moms together. According to The Sun, Kris Jenner set up meetings with business heads to discuss the venture.